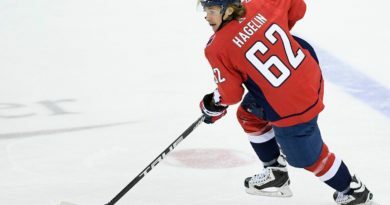 Who Will Emerge as the Capitals’ Unexpected Fan Favorite This Postseason? DC Family, Wizards fans, fans of competent front offices; I have the news you’ve been waiting a decade to hear. Ernie Grunfeld’s days in the Washington Wizards’ front office are coming to an end. The frustration among Wizards fans with their front office rank at the highest in the NBA, quite possibly only second to James Dolan with the New York Knicks. Since taking over as GM in June 2003, Grunfeld has recorded a 558-707 record to date, good enough for a winning percentage of .441. That tenure includes six seasons with fewer than 30 wins and not a single Eastern Conference Finals appearance. In complete fairness, Grunfeld’s tenure started off with a bang and looked extremely promising. He was responsible for signing free agent Gilbert Arenas as well as Antawn Jamison. Most remarkably, he pulled off trading Kwame Brown for Caron Butler. That Big-Three unit carried the Wizards to what may be considered their best playoff run of the modern era over consecutive years. Then the mediocrity in his decision making began to show, and once again he started with a bang. The 2010 All-Star weekend trade sending Caron Butler to Dallas was the beginning of the end of the Arenas-Butler-Jamison unit. Four days later Jamison was sent to Cleveland and by the end of the year Arenas found himself in an Orlando Magic uniform. As for his decisions on draft day, in years he didn’t trade away the picks, he made the obvious choice when it was in front of his face. In other years when it was time to make an educated choice, he made a questionable one. Grunfeld’s 2007 and 2008 picks were Nick Young and Javale McGee respectively. While their time in Washington certainly had it’s ups and downs, their natural talent couldn’t be denied. Instead of having faith in the talent he saw he drafted to two players, Young and McGee were both traded away in 2012. They both went on the play moderately significant roles on championship teams. With the number one pick in the 2010 draft, it was virtually impossible not to draft John Wall. Ernie followed up the Wall pick as only Ernie could; using two first round picks in 2011 to select Jan Vesely and Chris Singleton and the 2011 second-round pick on Shelvin Mack. Vesely, Singleton, and Mack were all off the team three seasons later. In 2012, it was hard not to select Bradley Beal with the third overall pick. The second-round pick that year just recently started coming around for the Wizards in the like of Tomas Satoransky. With Wall and Beal together, there was once again hope in the nation’s capital. 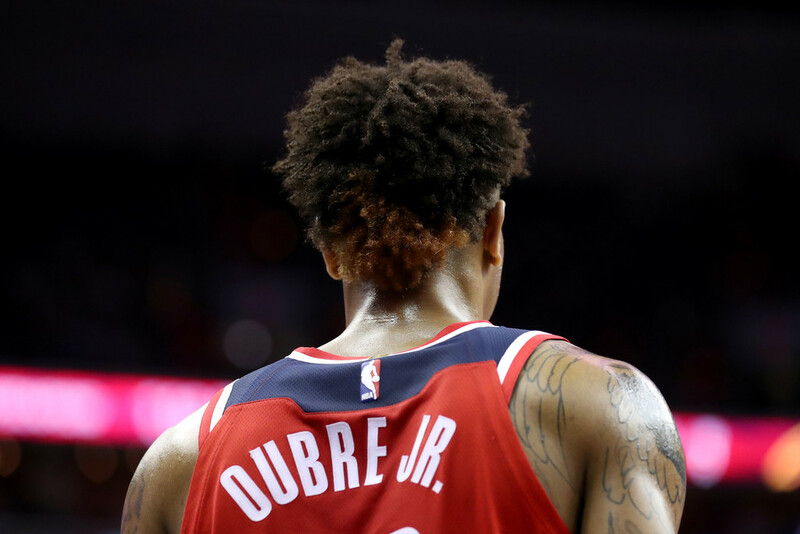 Otto Porter Jr. and Kelly Oubre Jr. being drafted in years thereafter had Wizards fans’ expectations at the highest they’d been since the Arenas/Butler/Jamison era. While some of the draft picks started to finally look good, Grunfeld’s other personnel decisions left a lot to be desired. From failing to retain Trevor Ariza to trading the 2014 first round pick for Marcin Gortat, the Wizards’ GM began a trend of giving away draft picks like presents to kids on Christmas morning. Any one of these moves could have been “the last straw” in your eyes. If not, the last straw certainly came this season when Grunfeld traded away the one player fans had deemed untouchable and “the future” in Kelly Oubre Jr.
Eddie Jordan, Flip Saunders, Randy Whitman, Scott Brooks. Those are the coaches who have been hired during Grunfeld’s tenure. Jordan was a fan favorite who simply couldn’t get the Wizards past LeBron James and the Cleveland Cavaliers in the playoffs. Saunders’ resume speaks for itself but he was hired during a time that the team was clearly in a rebuilding phase. Since Saunders’ departure in 2012, Grunfeld has failed to land a high-profile coach to go along with his three top-three draft pick players (Wall, Beal, Porter Jr.). Maybe even more importantly, Ernie has yet to hire a coach who was able to gain the full respect and control of the locker room. That is simply shown in the multiple reports of inter-squad tension in Washington’s locker room. Now that the trip down miserable memory lane is over, and it could have gone on longer, it’s time to look at the future. The Wizards are owned by the same person who owns the Washington Capitals. These are the same Capitals who are the defending Stanley Cup Champions. However, anyone that follows the Capitals knows that last spring’s success came with multiple bumps in the road in years prior. Former Capitals GM George McPhee (current Vegas Golden Knights GM) spent 17 seasons as GM in Washington before being fired; mostly due to a lack of postseason success. McPhee’s top draft selections during his time were Alex Ovechkin and Nicklas Backstrom. At the time of McPhee’s termination, Ovechkin and Backstrom were at years 10 and 8 respectively in their NHL careers. 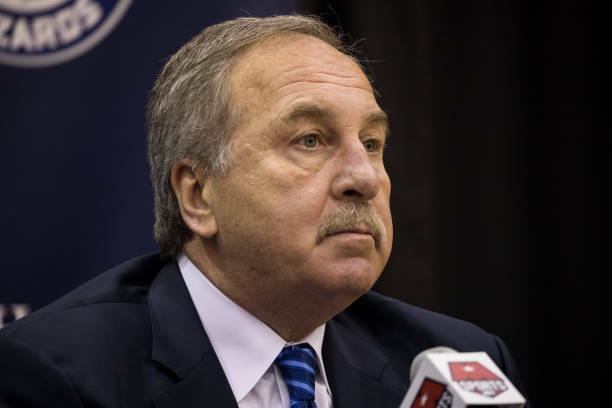 The 2019-2020 season will mark season 17 of Ernie Grunfeld’s time as general manager of the Wizards. Grunfeld’s top draft selections to this point have been John Wall and Bradley Beal. The 2019-2020 season will mark season 10 and 8 for Wall and Beal respectively in the NBA. Very few people know Grunfeld’s exact contract situation, especially given the fact that he was secretly given an extension for the 2018-2019 season in Fall 2017 and no one knew about it until May 2018. Wizards and Capitals owner Ted Leonsis has been steadfast, and reiterated as recently as January 31st that he has absolutely no intentions on trading away Wall, Beal, or Porter Jr. However, it is beyond obvious that major change in the franchise is needed. If Ernest is lucky enough to survive this coming off-season, as long as Leonsis sticks to his pattern of the past, the summer of 2020 in Washington will be highlighted by the changing of the guard in the Wizards’ front office. Sterling Blount has been writing passionately about sports since 2011. Sterling has had a strong passion for sports since the age of four; watching anything from football and basketball to golf, lacrosse, and hockey. He first discovered his passion for writing during his freshman year of college. 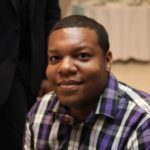 He has lived in the DMV for 26 years and currently covers the Washington Capitals and NCAA Men's Basketball.